Rates include full Hambleton breakfast, a morning newspaper, Wi-Fi and VAT. Our policy is a minimum of two nights when staying on a Saturday, however, please call our reception for possible alternative options. High Season rates are from 1st May to 31st October. Low Season rates are available from 1st November to 30th April. Low Season rates are not available at Bank Holiday Weekends, Easter, Christmas or New Year. Single Occupancy Rates apply for Standard Rooms only. All food, drink & other restaurant items are subject to a discretionary service charge of 12.5%. An extra bed suitable for children is available upon request at the rate of £35.00 per night or our cot at £25.00. Please note, if insufficient notice is given, cancellations may be charged for. Conditions may alter for larger bookings and private parties. 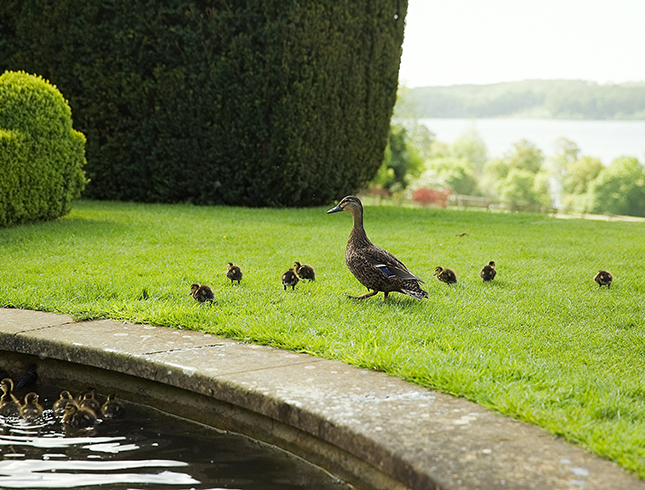 Hambleton Hall reserves the right to pre-authorise credit cards prior to arrival. Well-behaved dogs are welcome at Hambleton by prior arrangement. A charge of £10.00 per night is made. Special conditions apply. Please note that all of our Bedrooms are non-smoking. For some reservations, a deposit will be taken.